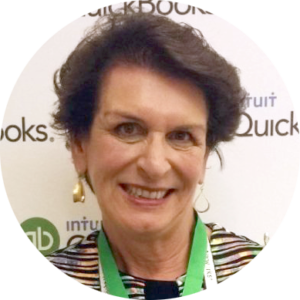 As a Top 100 QuickBooks Pro Advisor and Fishbowl Inventory Super Hero, Jeanne helps businesses change the way they do business by getting their inventory management, accounting and manufacturing systems all working together seamlessly. In providing these services Jeanne draws upon her knowledge as a CPA, her previous experience as an Auditor with Ernst & Young and long-time CFO of a publically-traded medical device manufacturer, and the expertise gained in the 10+ years she has been working with Fishbowl Inventory. You might say that Jeanne’s favorite question is “Why?” As in, “Why do you do things that way?” and “Why are you so reluctant to try something else?” Because as someone who spends a lot of time walking others past the resistance that change always brings, Jeanne is well-known for her tough love. Not so well-known outside of her inner circle, however, is Jeanne’s love of cheese…especially her partiality to triple crème Brie. Why? Because it’s amazingly good!